Samsung had confirmed long before it made the Galaxy S8 official that the upcoming flagship will come bundled with a pair of AKG-branded earphones. This has been made possible by Samsung’s recent acquisition of Harman International which owns many premium audio brands including AKG. This partnership has also brought AKG-tuned audio to the Galaxy Tab S3. Samsung says that these new AKG earphones that come in the box with the Galaxy S8 have a hybrid canal fit for better noise cancellation and have an anti-tangle cord. This seriously improves Samsung’s headset offering with its flagship smartphone and justifies the higher cost of the new flagship to some extent. 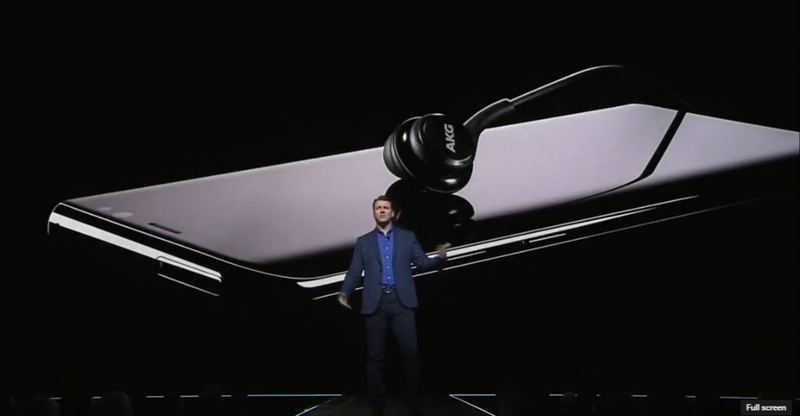 The company has also confirmed today that these AKG earphones will be sold separately as well for $99 so if you’d like to use them with an older Samsung device or just want what seems to be a good pair of earphones, you can buy them without having to splurge on a new smartphone. Awful, awful earphones! Sound like they came out of a lucky bag! They sound tinny and have no bass whatsoever! Terrible!